Silver Line brings healing, renewal and regeneration into your astral body. It fills in any gaps or cracks that have appeared and creates a silver layer both in and around it. 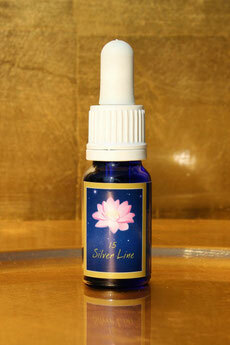 Silver Line awakens the memory of your own divinity. It helps you to tune into the higher frequencies of your spiritual teachers and the angelic realms when you visit training sites during your astral journeys at night. This essence forms a protective membrane on the surface of the astral body so that nothing strange can invade during astral journeys. Lead the essence in a clockwise direction around each chakra in the astral body (from root to lotus chakra). Rub three drops in your hands and stroke along your arms in the astral body (from shoulders to hands). Then stroke down your legs in the astral body. 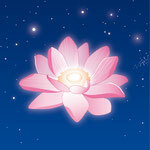 Place one drop of the essence onto the lotus chakra, your knees, under your feet and into your mouth. Alternatively, you can use the spray: Spray above your head and around each chakra.